Fran Richards Western Marylad SD40, complete with cat whisker whip antenna. 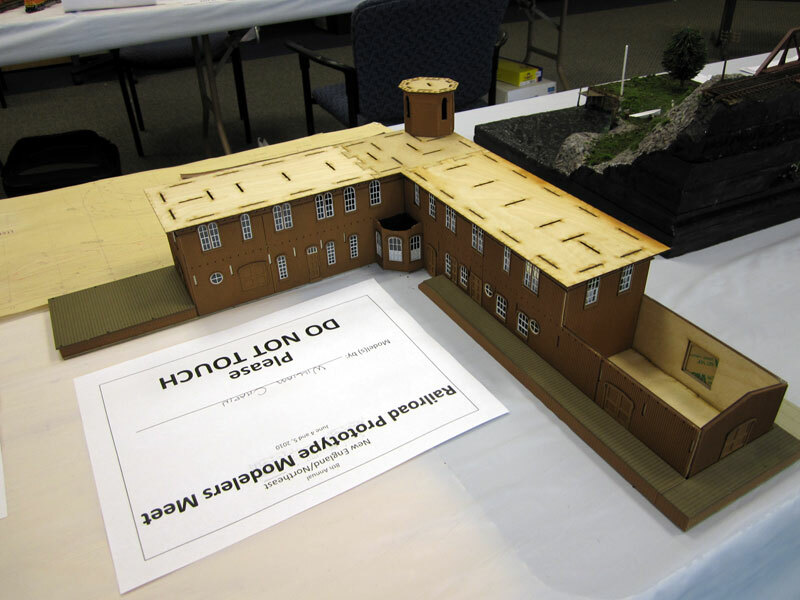 On June 4-6 I attended my 4th New England Prototype Modelers meet. Turnout was good, but the model room was pretty sparse for some reason. Nevertheless, the quality of the models was unparalleled as always and I came away with a few decent photo’s. 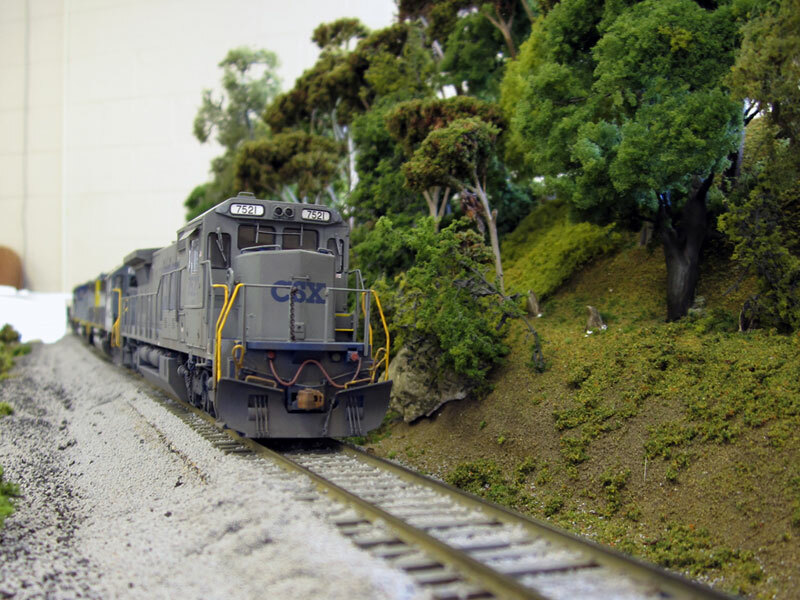 CSX C40-8 #7521 on Brian Bennett’s display module. 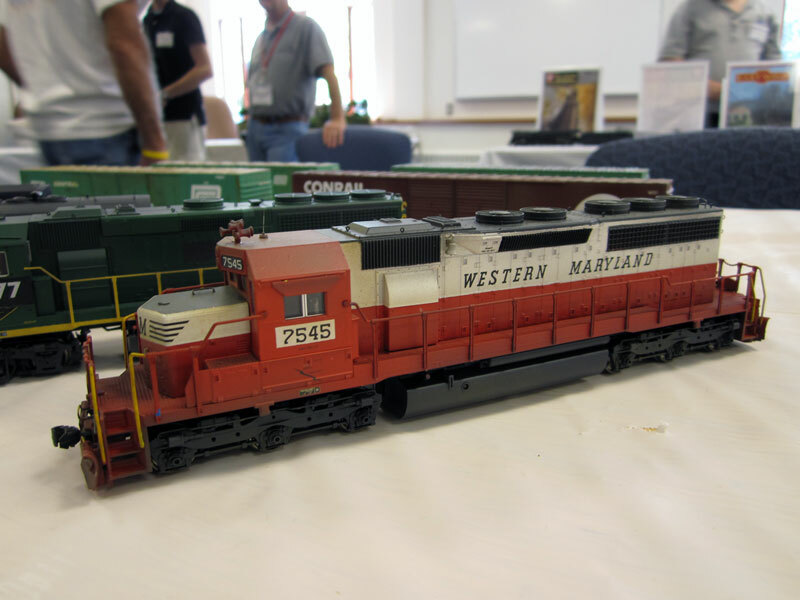 I first met Brian at last January’s West Springfield Show, he’s a very talented and ambitious modeler who brought a number of interesting things. More of his work can be found on his website: http://www.contrailroads.com/. 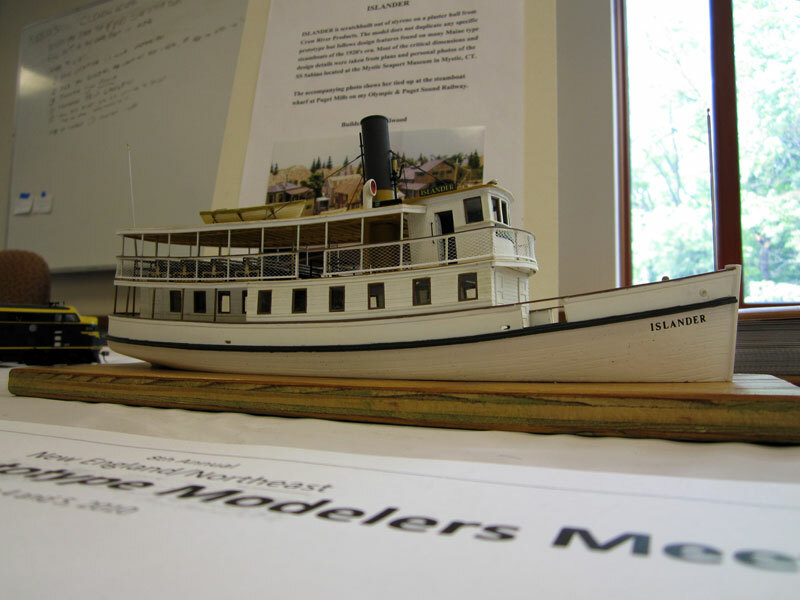 John Elwoods 1:87 model ship. John showed up on Saturday, I didn’t get to talk to him, but I took a liking to the “Islander”. An assortment of six axle power by John Terry. A very nice laser-cut structure by William Chapin that I unfortunately don’t have any details about. 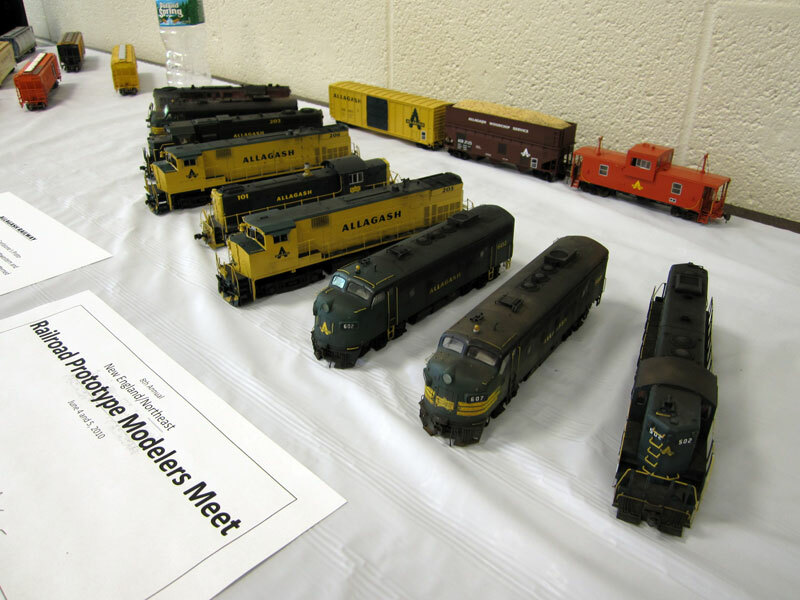 Due to the lack of models, the meet was a bit subdued, but this whole year has been kind of like that (for me at least) so I wasn’t expecting much more. Some time within the next few months Tom’s layout should be to the point where track is down and trains are running and my Saturdays can revert back to model building days. I have been making some progress on a few projects and there are a few others in the pipeline. Updates to follow. 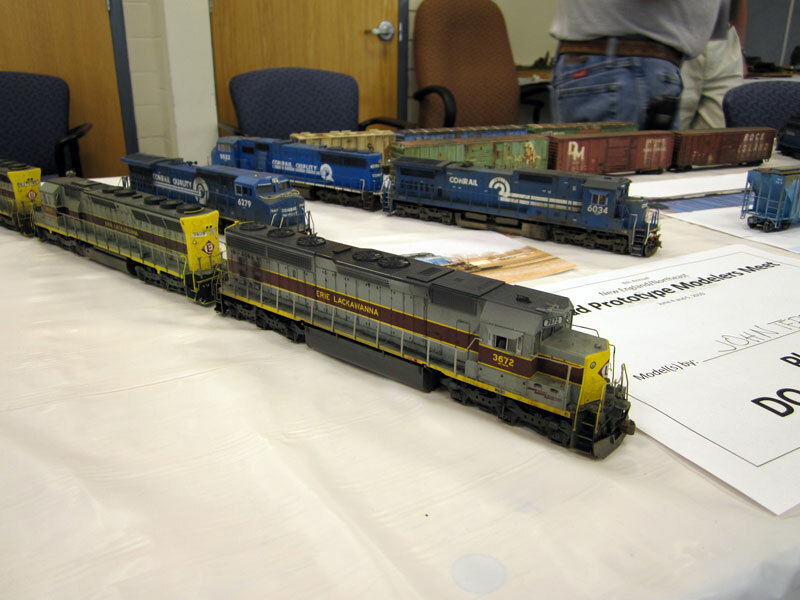 This entry was posted in Model Railroading and tagged Model Railroading, NERPM by Milepost15. Bookmark the permalink.